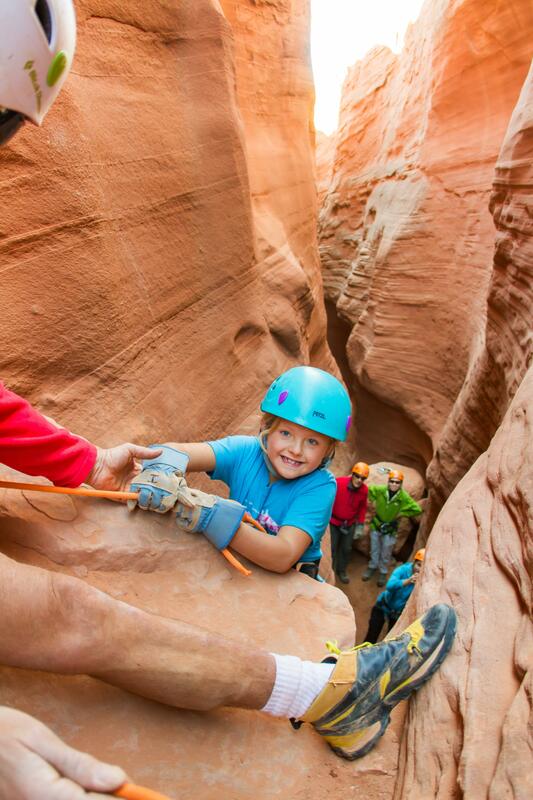 Why- Try guided canyoneering - Pushing limits in a safe environment builds confidence in kids…as well as parents, all while creating an unforgettable experience together. 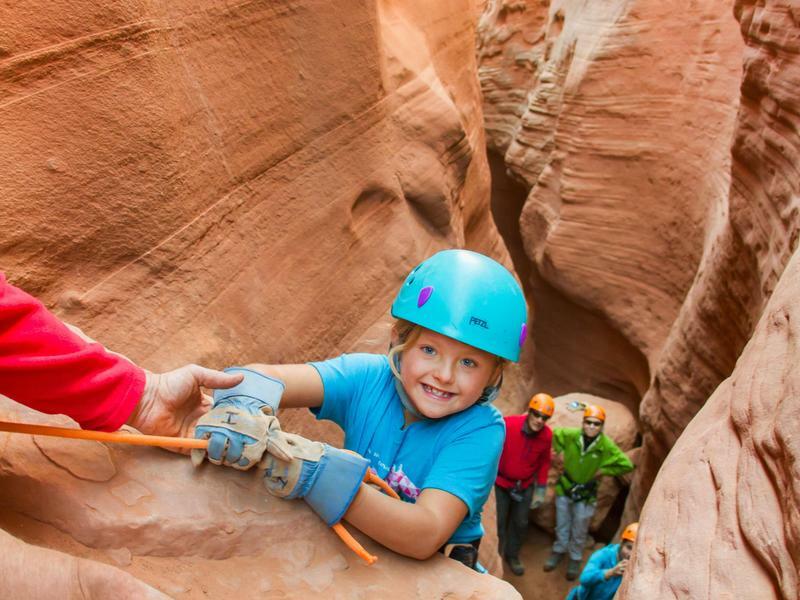 What -Excursions of Escalante is one of our favorite canyoneering guide services in Utah, they have been guiding trips in this area for 20 years and are the experts when it comes to beginner canyoneering adventures. 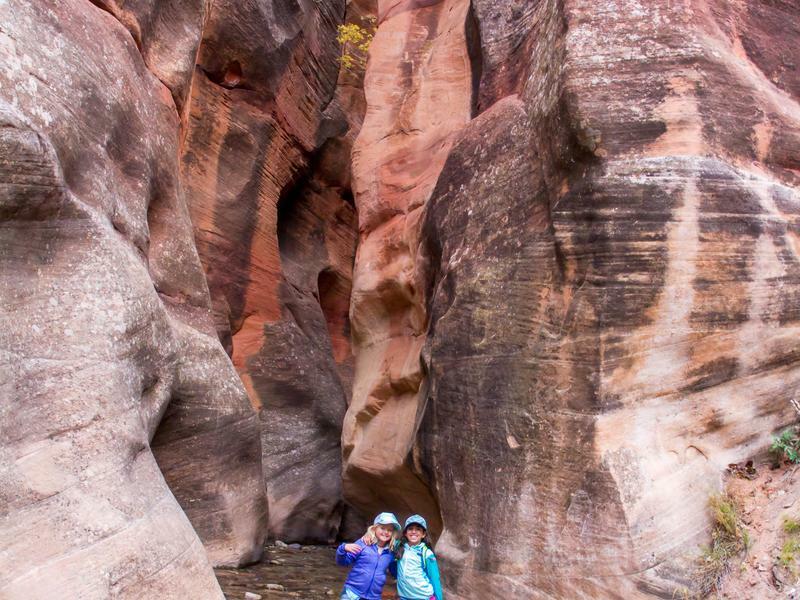 Bonus- Explore the Hole in the Rock Road…morning hike to Peek-a-boo and Spooky slot canyons, followed by a stop at the Devil’s Garden picnic area for some free roaming playtime… also this the only bathroom facility in the area. 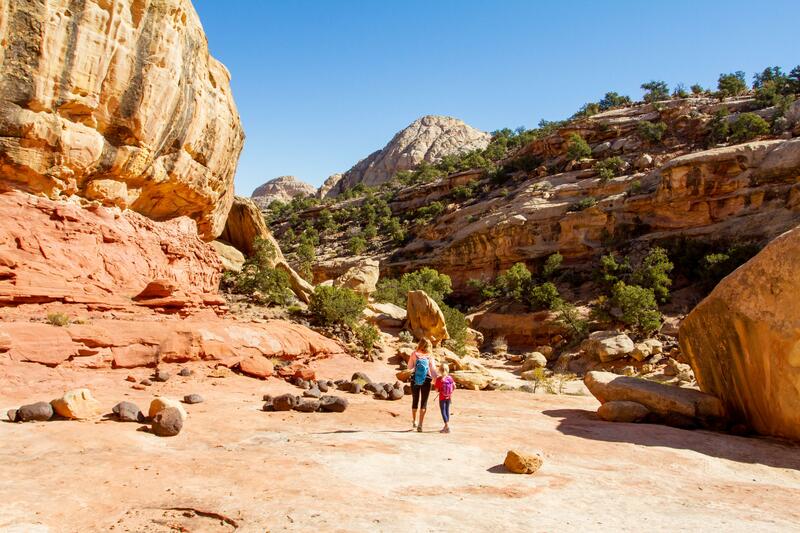 Why – Capitol Reef is the closest national park to the Wasatch front, just over 3 hours and 220 miles. 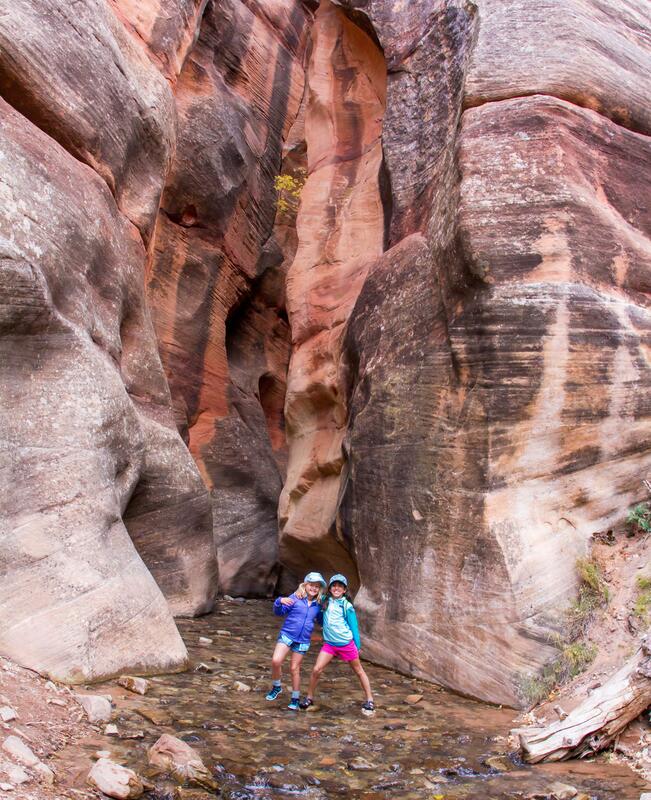 What- The 3-mile roundtrip Cohab Canyon hike is a favorite for kids, offering many “rockscape” play spots along the route, including a couple of mini-slot canyons and slickrock mesas perfect for little explorers. 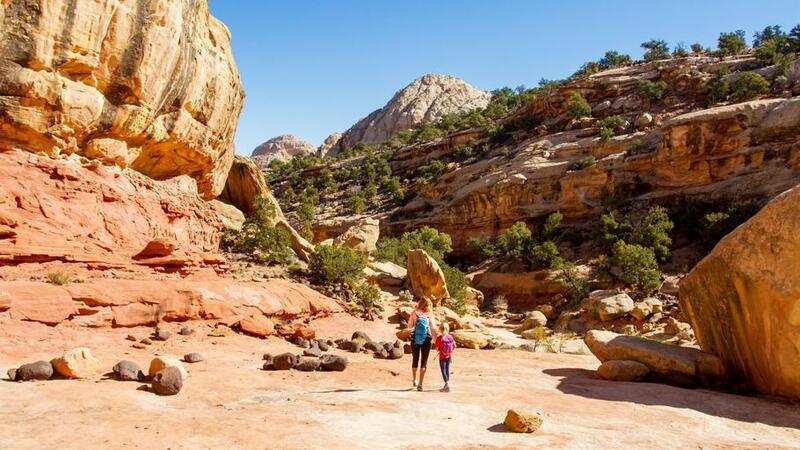 Bonus – Sulphur Creek is a family favorite, start from behind the visitor center and hike up the creek until the kids are ready to head back, or if you have seasoned hikers and an extra car hiking from the Chimney Rock trailhead to the visitor center is an epic 5.5-mile hike through Sulphur Creek Canyon. What – The Valley of the Goblins is three-square miles of free-roaming terrain filled with hoodoos and goblins. 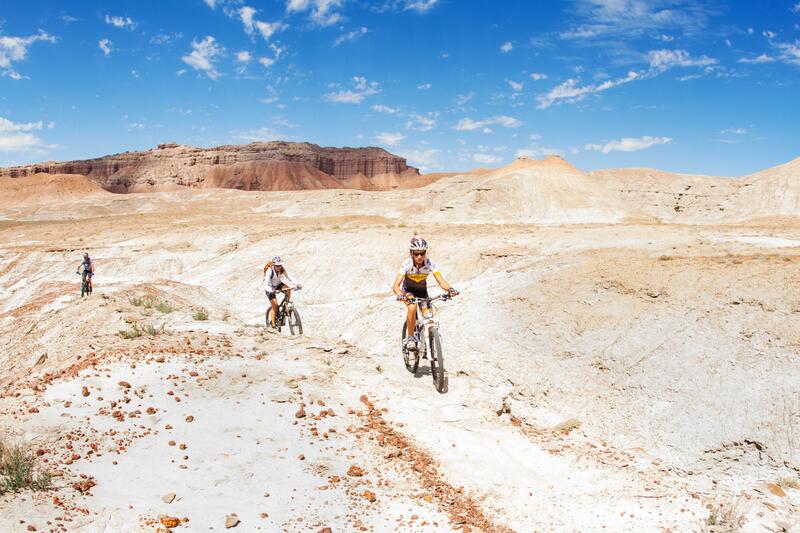 Bonus – Bring the mountain bikes and explore the 7-miles of single-track at the Park. 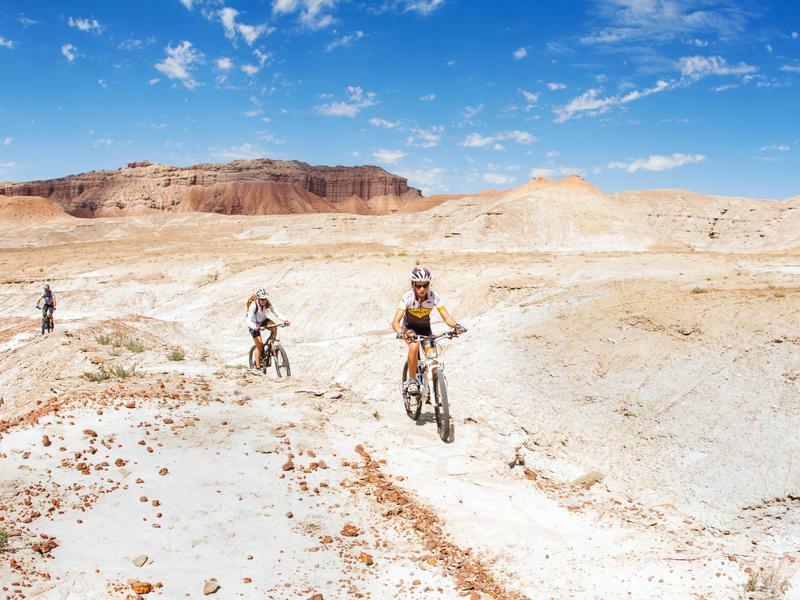 The Wild Horse Trail system offers 5-loops of beginner/intermediate riding. 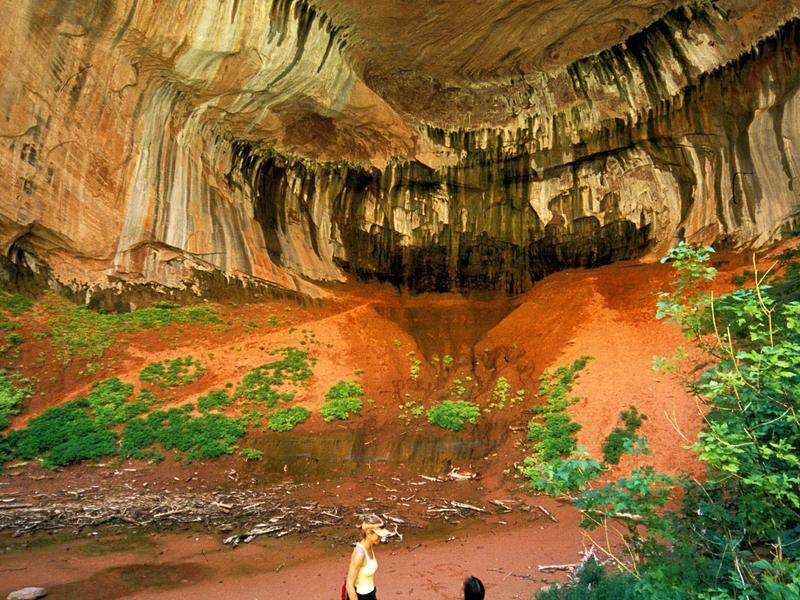 What – Kanarra Falls is a moderate 4.8-mile epic slot canyon waterfall hike. 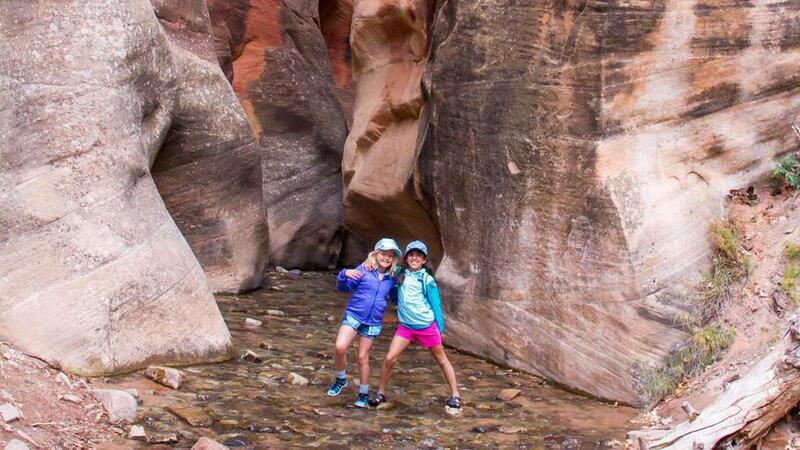 It is 1.5-miles to the entrance of slot canyon and then .1 mile to the first waterfall. 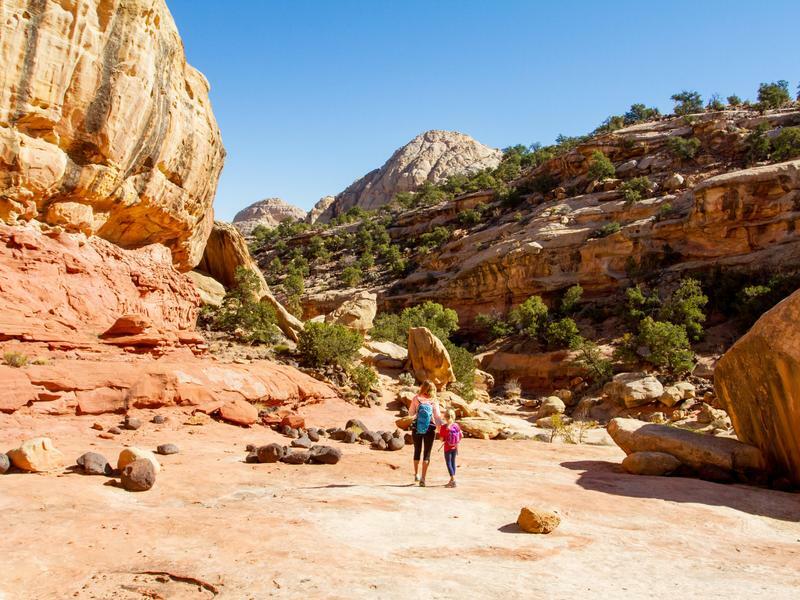 This hike does involve some rock scrambling and may not be suitable for small children. 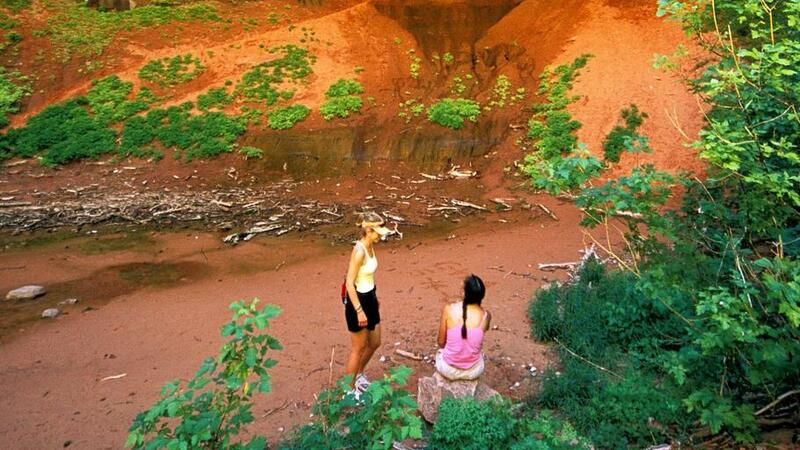 Bonus – The 5-mile Spring Creek trail is the lesser known of the Kanarraville hikes and is located just south of town. 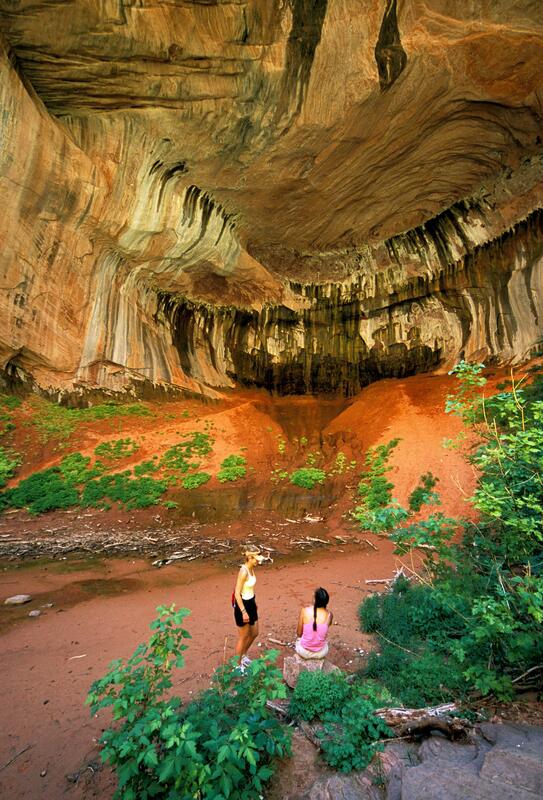 What- The 5-mile Taylor Creek Hike leads to the amazing 1700-foot Double Arch Alcove. The hike is fairly easy with an elevation change of 450 feet. The route has several stream crossings and offers amazing views. 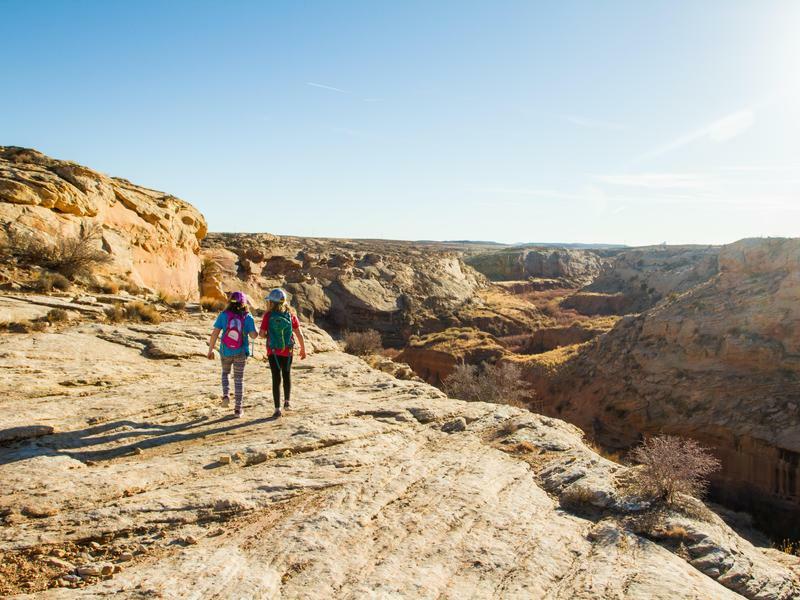 Bonus- Stop at the Timber Creek Trailhead picnic area for an après’ hike picnic…or if you are looking for added mileage, the hike is only a mile roundtrip. on average is home to about 1,600 animals. Dogs, cats, bunnies, birds, horses, pigs and other animals come from around the world seeking safe haven in this amazing sanctuary. What- The Sanctuary offers both daily tours and volunteering opportunities for families. Before you go- Families can sign-up to volunteer together, although there is a minimum age requirement depending on the type of animal and advance reservations are required. Bonus- Run barefoot with your kids in the sand while enjoying the picture-perfect sunset at Coral Pink Sand Dune State Park. 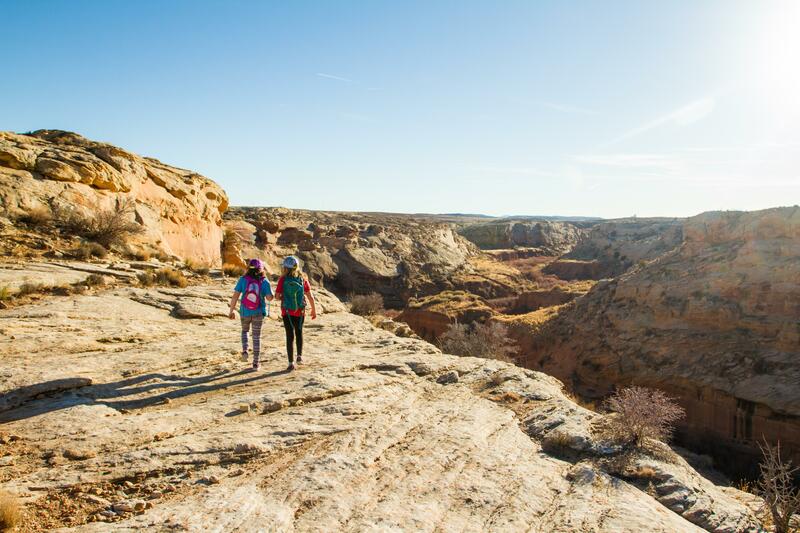 Why – Utah’s newest National Monument contains more than 100,000 archaeological sites. What - The hike to the Wolfman Petroglyph Panel is less than a mile roundtrip and accessed from the Butler Wash Road 5-miles south of Bluff. 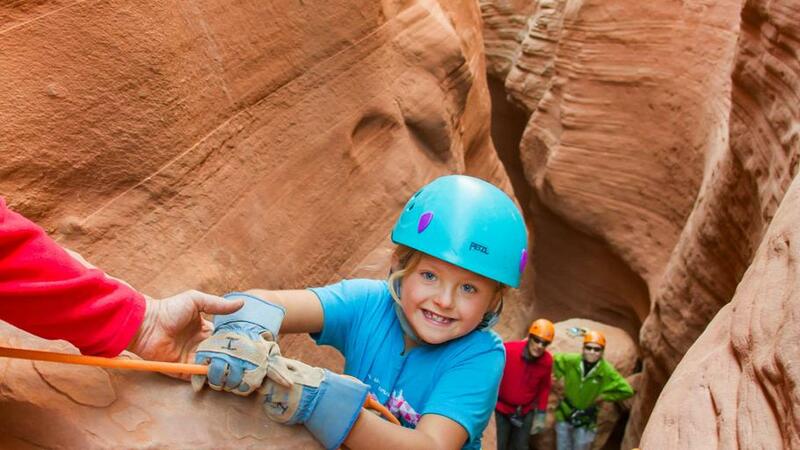 Bonus- Be sure to visit the Canyon Country Discovery Center in Monticello. This hands-on educational center is a great introduction to the history, culture, and geology of the area.